In Hidden Springs, love’s come full circle. After six years away, Elizabeth Mackenzie has arrived home for a visit. The tomboy of Ryan’s Ranch is now a lawyer who aims to open a practice back in Illinois. But as she reconnects with old friends during her stay she’s surprised to find not all relationships are as she left them. For Jacob Fitzpatrick, the return of his best friend is something he’s looked forward to for years. 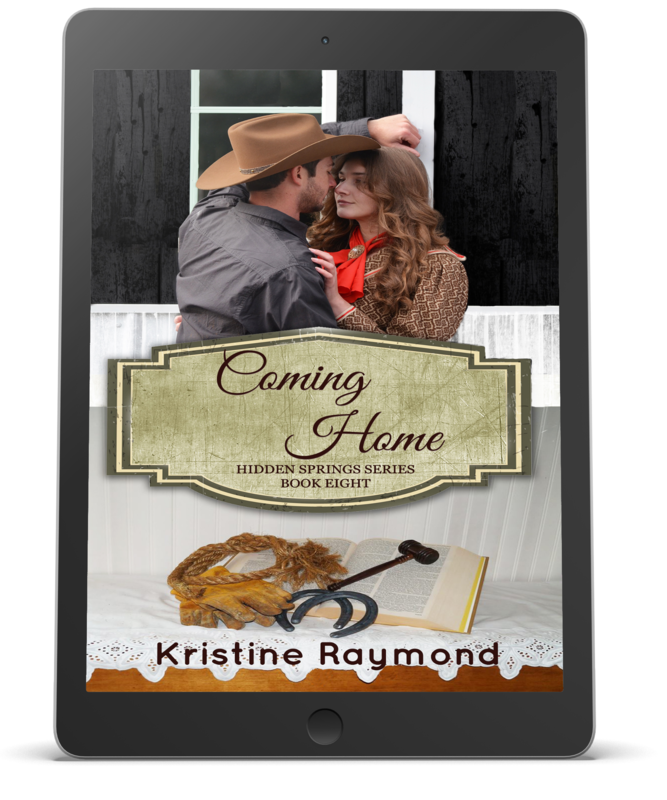 When he sees Elizabeth again he’s shocked to discover the headstrong spitfire from his youth has matured into a desirable woman – one he has every intention of claiming as his own. Convinced they should become more than friends, Jacob sets out to find a way to keep her in Hidden Springs. But obstacles such as a current beau and Elizabeth’s aversion to ranching soon interfere with his plans. It’s only after the town is struck by tragedy that each discerns what is most important to them. For Jacob, it’s love and family. And for Elizabeth, it’s coming home. Hi! I'm Kristine Raymond. I didn’t figure out what I wanted to be when I grew up until later in life. If you haven’t guessed, it’s being an author. I've spent the past two and a half years writing, and learning how to navigate the publishing and promotional side of the business. When I'm not writing, I enjoy spending time with my husband and furry family. I'm the author of the Hidden Springs series - Here to Stay, Hearts on Fire, Abby’s Heart, A Chance on Love, A Will of Her Own, Dancing in the Dark, and Worth the Gamble -, a contemporary novella called By Dawn’s Early Light, and a non-fiction book titled ‘write words’ A Year in the Life of an Indie Author.